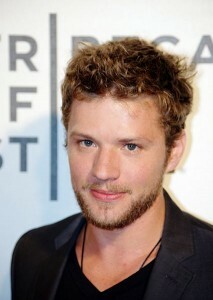 What do Ryan Phillipe, Keanu Reeves and Ray Charles have in common? They’re all famous Virgo men who exhibit the characteristics and traits of their astrological sign. Virgo men tend to be stoic, serious and rational. Don’t misinterpret this characteristic as being a cold person – they simply operate very logically. If you met him at a bar or concert, chances are he’s not a Virgo. Virgos prefer calm settings where they don’t have to yell over a crowd. Virgo men like everything to be a very particular way, and don’t respond well to disruptions in their surroundings and routine. However, given the amount of focus and dedication Virgo men spend on setting things up nicely, expect their situation to be a good one – think good job, stable income and low drama. Do you have experience with Virgo men? Are you one yourself? Share your thoughts with us below! 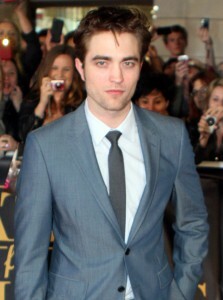 What do Al Pacino, Robert Pattinson and David Beckham have in common? They’re all famous Taurus men who exemplify the traits and characteristics of their zodiac sign. Taurus men are bullish like the animal that represents their sign. They are stubborn and strong-willed. They are slow to anger, but when they do get mad – watch out! A Taurus man will stick up for you day and night, and often has courage beyond his own strength. This may lead to making poor choices, but it can also provide a level of confidence that will help them land successful and lucrative career. Taurus men are especially cautious when it comes to relationships. It can be difficult to attract a Taurus, but once you’ve earned his trust, you can count on his loyalty and dependence. First Lady Michelle Obama and Kate Middleton, Duchess of Cambridge have more in common than you might think: they’re both great examples of the characteristics you find in Capricorn women. Capricorn women are socially intelligent, career-driven, and tend to be very successful. They are wise beyond their years, sensitive, and have a fashion sense that is both classic and forward-thinking. You won’t find Capricorn women daydreaming of their next best thing, instead you’ll find them with their sleeves rolled up, taking on whatever task is between them and their goals. It’s no accident that Capricorn women often rise to high social status, but you’d be surprised in finding that they don’t dwell on that. You won’t find a mushy romantic in a Capricorn woman, but you will find a wise, sensitive and intelligent partner. Are you a Capricorn woman? Do you know one? Share your experience below! Orlando Bloom, Denzel Washington, Elvis Presley and … Nostradamus? Believe it or not, all are famous examples of Capricorn men, and represent the characteristics and personalities you can expect to find in Capricorn males. Capricorn men are excellent leaders due to both circumstance and a willingness to rise and meet a challenge – not out of hunger for power. 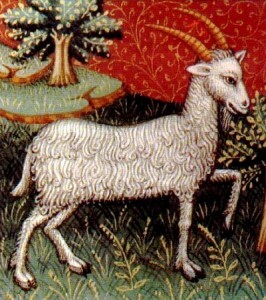 Like their goat symbol, Capricorn men can be stubborn, but persistent. They are incredibly thorough and hard-working, but these characteristics tend to pay off for them later in life than other astrological signs. Don’t be surprised if a Capricorn man doesn’t truly settle down until his 40s, 50s, or even 60s. As companions, Capricorn men are loyal and typically “in it for the long haul.” It’s likely they aren’t looking for a casual date, but to find someone they want to marry and start a family with. Why, then, don’t they settle down until later in life? It boils down to thoroughness – Capricorn men are constantly evaluating and reevaluating their situation. Dating a Capricorn man could be described as one long marriage evaluation, so be careful and know what you’re in for! Are you a Capricorn man? Do you know one? Share your experiences below! Virgo, born between September 17th and October 17th, are the sixth sign of the astrological zodiac and an Earth Sign. 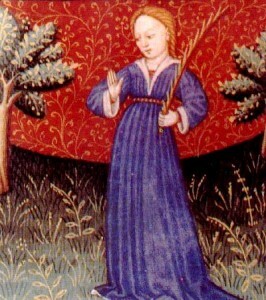 The characteristics of a Virgo are an emphasis on rationality, research and logic. They make excellent debaters because their points are always thoroughly thought out and well-researched. The strength of a Virgo lies in their laser focus, and ability to make careful and calculated choices in life. Oftentimes a Virgo will know what they want to do, but still research their options thoroughly before deciding anything. Virgos like things to be perfect: in extreme cases, this can be displayed as obsessive compulsive disorder (don’t rearrange their record collection, or forget to wash the dishes!) In other ways, these characteristics help Virgos excel in research-heavy careers, like a lawyer, doctor or scientist. 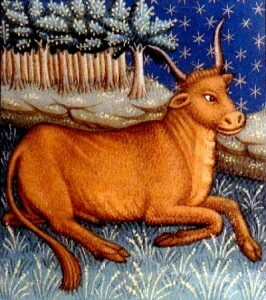 Taurus, the sign of the bull, is the second symbol of the astrological zodiac and is an Earth Sign. Like the bull that represents them, Taurus are incredibly strong and reserved people who thrive in conditions of mental and physical stability. Their strength can be perceived as stubbornness, but this same strength gets them where they need to be over the long term. You’ll have to work hard and have patience to truly get to know a Taurus. Make no mistake: the Taurus are the sign of the Bull for a reason. They are strong willed and oftentimes resistant to major, quick changes. Tauruses thrive in conditions of routine, predictable comfort. However, that’s not to say they are short-sighted: Tauruses are always planning for a better future, but they make big plans for the long-term. A Taurus won’t lose control easily, but when it happens it can be violent and powerful. When things go wrong, you’ll want a Taurus on your side.